Marketers everywhere are coming under the spell of content marketing. As a result, your members are inundated with content from consumer brands and industry vendors; subscriptions to newsletters, magazines, blogs, and other digital publications; plus social media updates. Somehow, without resorting to black magic, associations have to get members to pay attention to their content too. Even though The Walking Dead is a huge hit, no one on the haunted house team thought about adding zombies to the regular cast of ghouls. One of the crew wants to transform the old koi pond into a frightening swamp of monsters, but he can’t get anyone else to help. Most visitors are adults, but the haunted house includes several lame features for kids that detract from the overall fright level. The haunted house’s Facebook page is never updated. They don’t have any videos to share on YouTube. The haunted house crew doesn’t know their audience and their “needs.” They also don’t have a plan to work together to provide the frights that their audience would value. Don’t go down that scary path. A content strategy will help your association use its limited resources efficiently to deliver content with a purpose – content that’s aligned with your mission and business objectives, and content that your members will read because it meets their needs and interests. A content strategy serves as a framework for making decisions about the development, delivery, management, and evaluation of content. In a haunted house, all the pieces have to work together – the storyline, sounds, sights, smells, even touch. 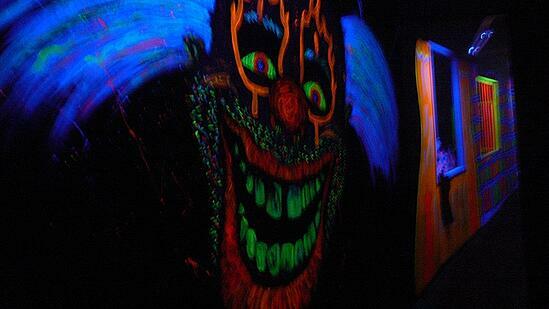 The atmosphere both inside and outside the house has to provide an integrated, frightening, and cathartic experience. A content strategy is an integrated approach, too, that encompasses both print and digital platforms – including websites, mobile apps, social media, online publications, videos, and podcasts. Identify your audience(s) and their needs and interests. Review any existing data – for example, website traffic and content downloads. Review your digital presence – website, mobile, and social – and the presence of any competitors and collaborators. Inventory and organize your existing content. Determine its status and relevance. Identify gaps between your objectives and existing content. Develop a content strategy that’s aligned with objectives. Establish metrics to determine whether content is delivering value to your members and to your organization. Determine whether additional resources, staff training, and improvements to business processes and workflow are needed. Develop an implementation plan and a collaborative, association-wide content workflow. Don’t let the thought of developing a content strategy make you scream. We’ve accompanied many associations through content crypts and workflow cobwebs, and we can help you scare up some good content, too. We’ll help you navigate the trapdoors and pitfalls of developing a content strategy. Your website will no longer give you the chills – unless, of course, you’re the Haunted House Association.